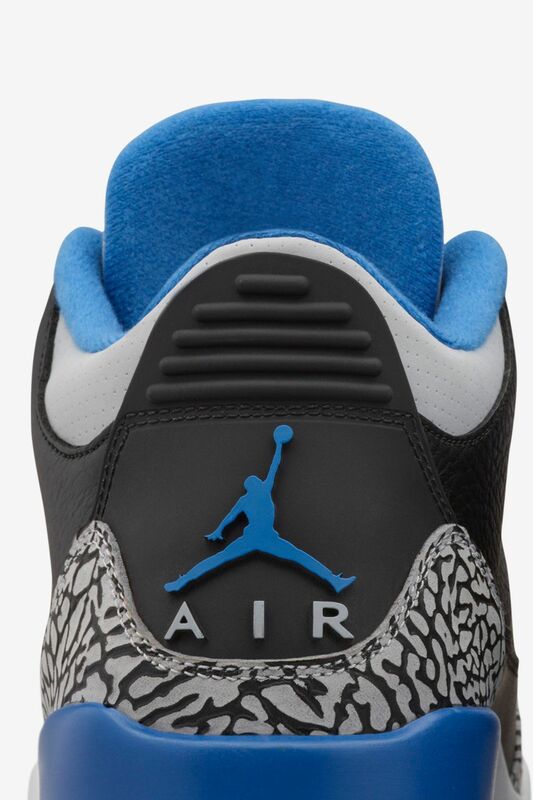 The Air Jordan III was the first Air Jordan to feature visible air, the new Jumpman logo and the infamous elephant print. 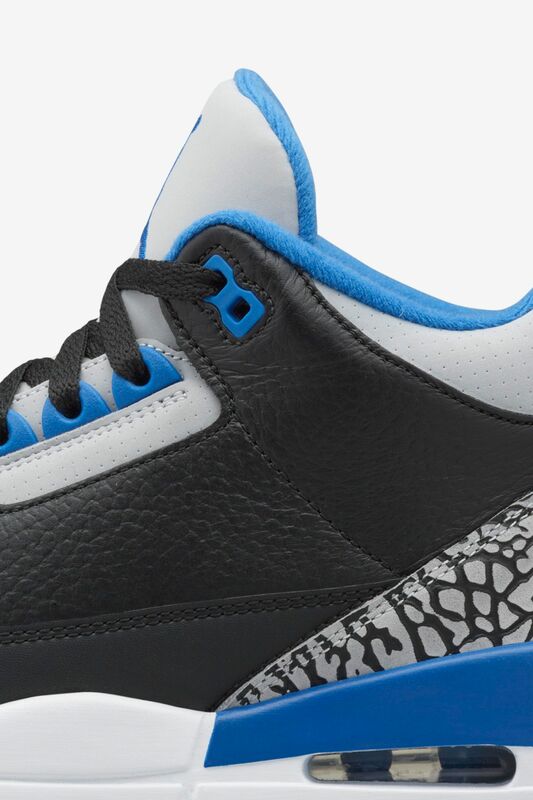 The new 'Sport Blue' colourway evokes the original with a black leather upper and grey elephant print detailing. 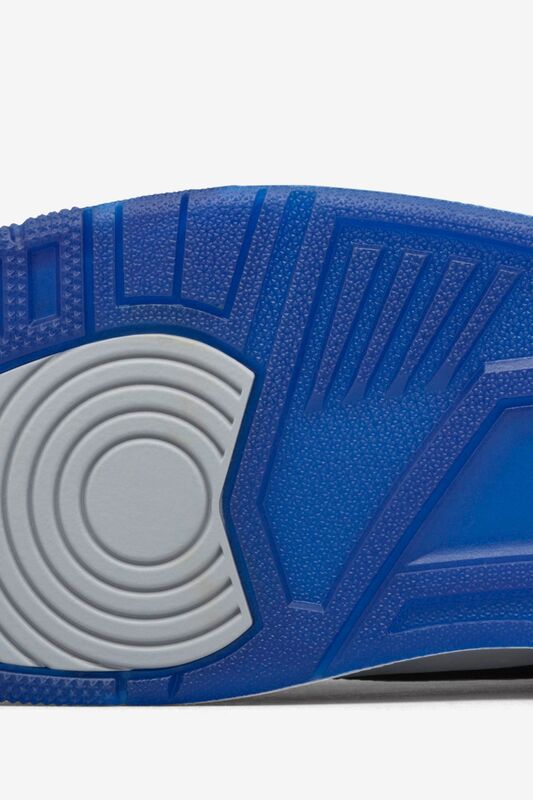 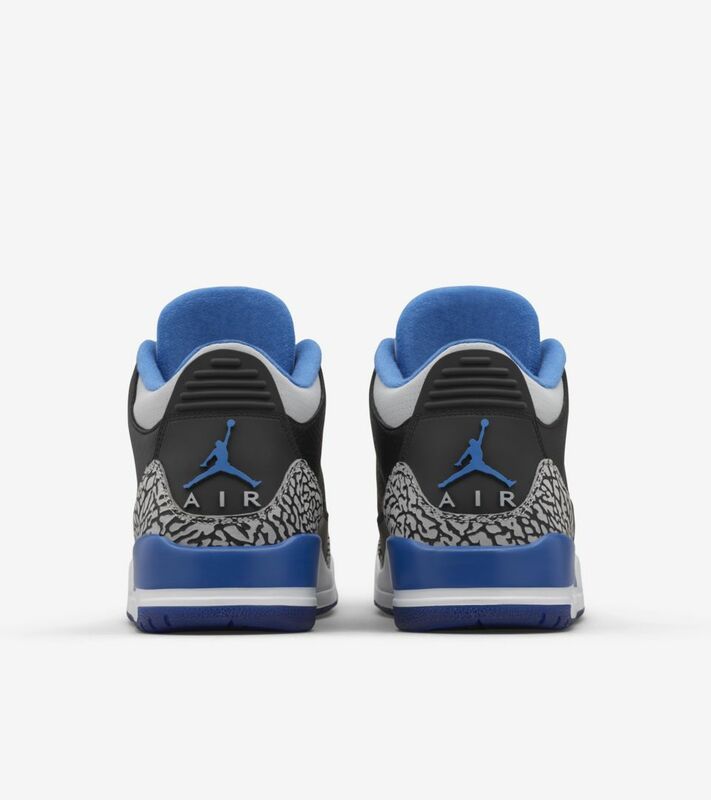 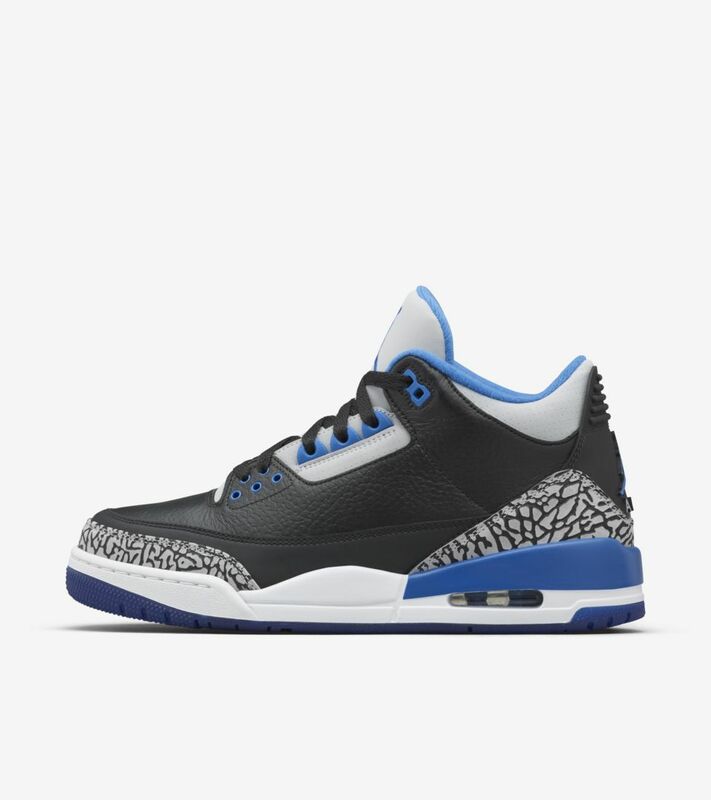 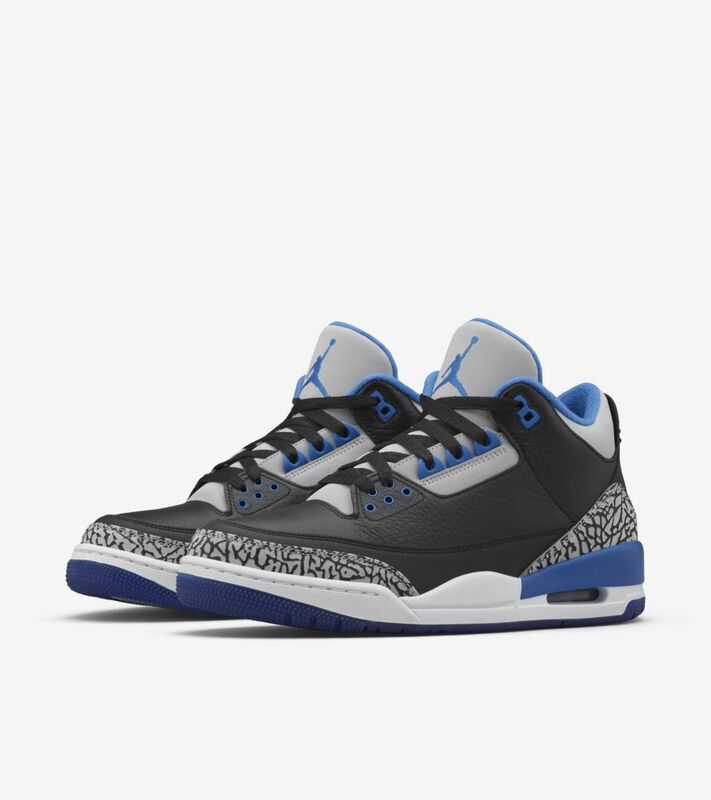 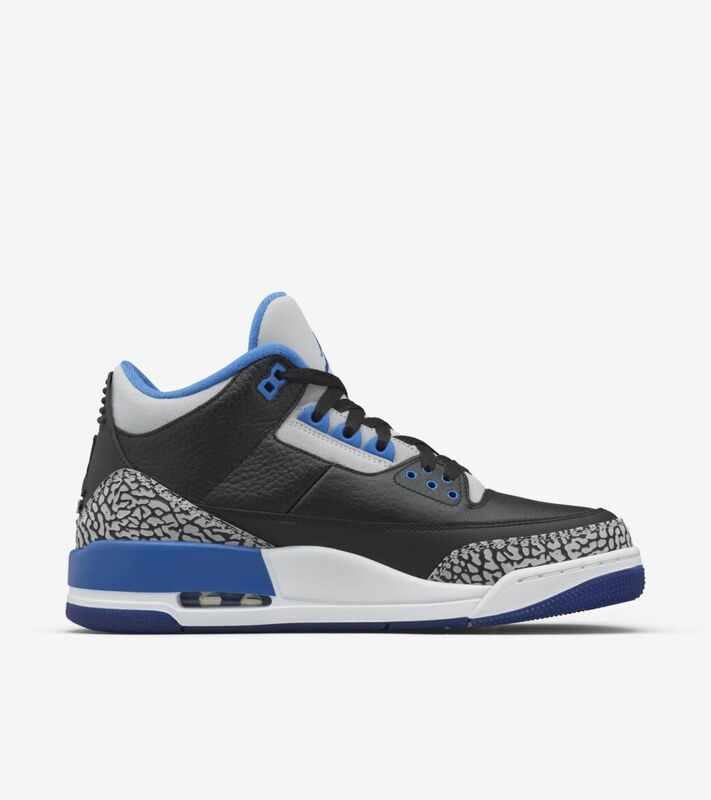 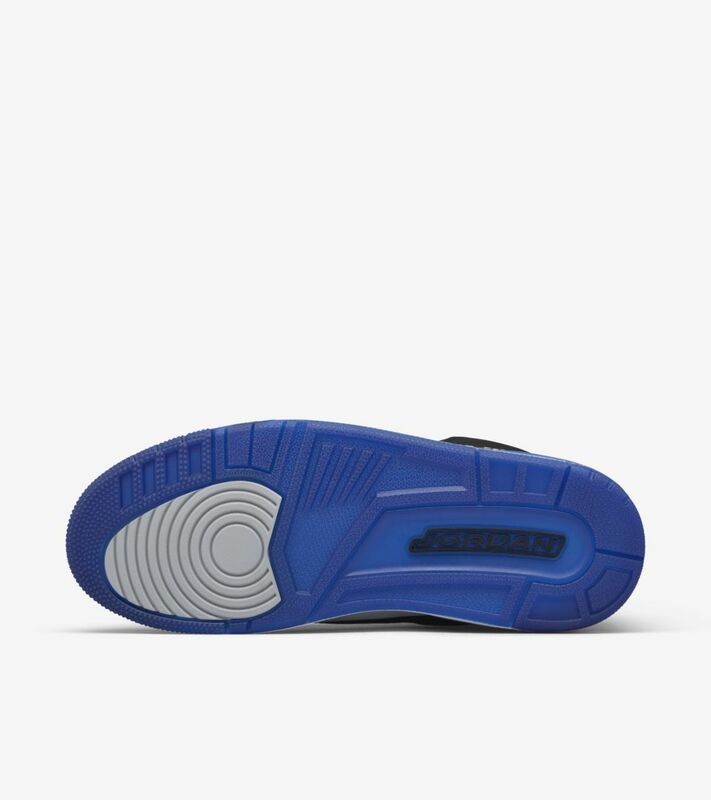 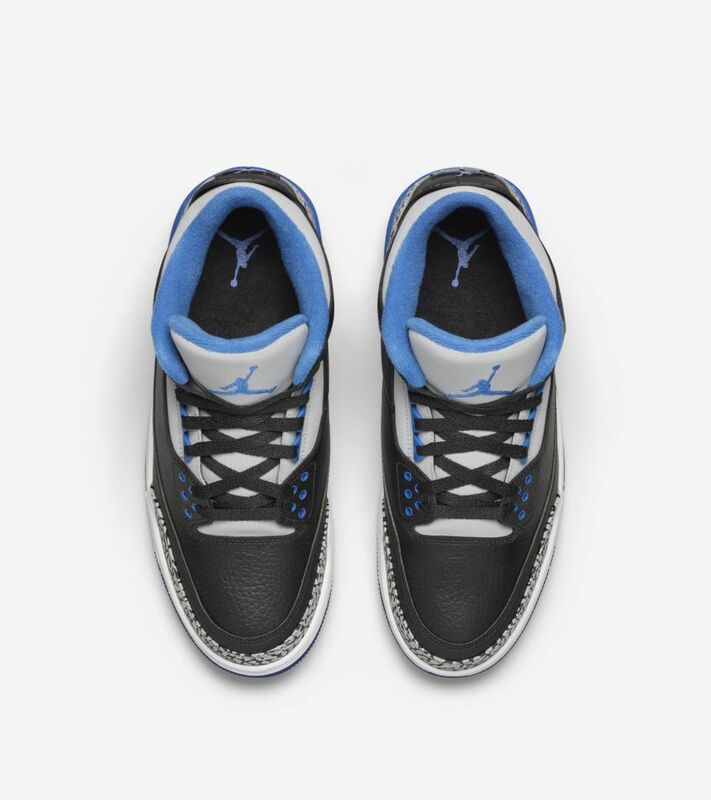 The Sport Blue is distinctive and eye-catching, providing a good colour pop on the Jumpman logo, midsole, lace loops and outsole.